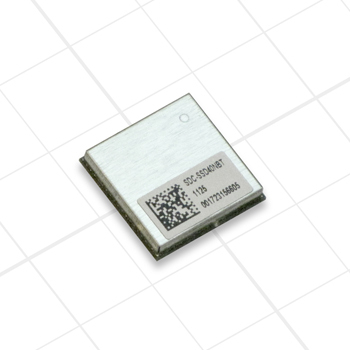 The SDC-SSD40NBT is a Wi-Fi and Bluetooth System in Package (SiP) module that supports 802.11a/b/g/n via an SDIO interface and Bluetooth 2.1 via a UART interface. By supporting both Wi-Fi and Bluetooth in the same package, the SDC-SSD40NBT helps device manufacturers significantly reduce system size and cost. The 15mm x 15mm package is dimensionally and pad compatible with the SDC-SSD30AG, providing a smooth upgrade path to 802.11a/b/g/n and integrated Bluetooth, reducing system cost while delivering the latest wireless capabilities. Please review the specifications tab above for complete device specifications, and the certifications tab for complete regulatory and certifications information.